Our Girls team started off without fear and with a bit of zip on the ground, smashed Hywell Dda 7-0 then our both teams were in action at the same time. The girls full of confidence beating Herbert Thompson 6-0 and our boys kicked off against a strong Pencaerau side. Starting out nervously our team worked away creating chance after chance but ran out of time finishing the game 0-0. On a hazy overcast morning we hadn’t lost a game, the boys then beating Herbert Thompson 5-0 Hywell Dda 6-0,Trelai 4-0 and Millbank 4-0 it was in the boys last match that we were to play a strong Windsor Clive team and with 1 minute to go we were 2-1 down when an amazing shot from Jahvay Scanlon got us level we thought we had won the day when in the last seconds we conceded a late goal to finish the day below Windsor Clive and Pencaerau on goal difference. Well done boys so close ! The girls however went from strength to strength beating every team and scoring 29 goals in total winning 2-0 against Pencaerau 4-0 against Trelai and 6-0 against Millbank then our toughest test nearly running out of steam we let our only goal of the day in against Windsor Clive making it 1-1 with 5 minutes left to play our Lionesses dug deep and scored another 3 goals to finish 4-1 winners and overall champions of the day. An amazing bag of spectacular goals from Aliyah Agius and Cameron Rees and our girls captain Gaby Stratton-Ross was Player of the Tournament, we will miss her leadership in September. We are all proud of you well done girls Da iawn pawb ! 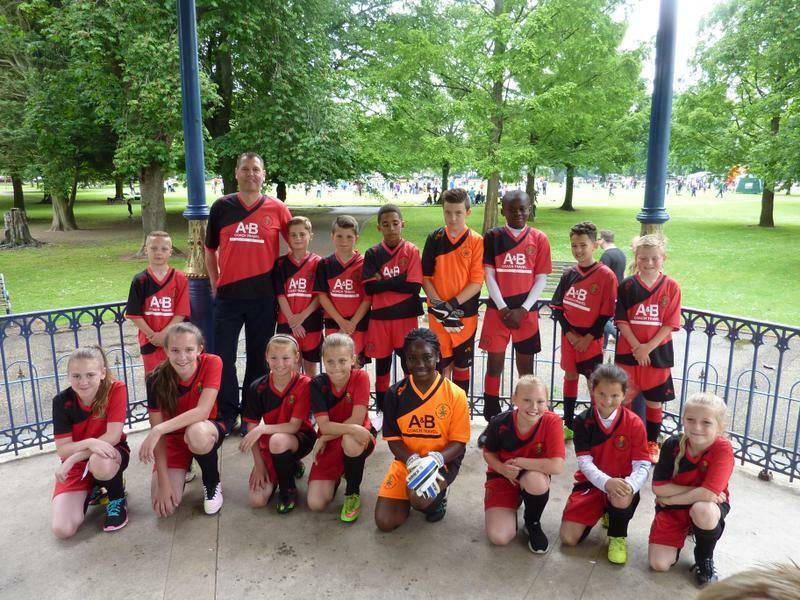 Once again a hard fought 4 matches by both teams on a warm afternoon in Victoria Park. The girls team kicked off first beating St.Josephs 3-1 then following on with a 2-1 win against Holy Family. We then played the same teams again winning 3-1 and 4-0 to reach the final and a team we have played all year St. Patricks. A very close game saw near misses both ends and 1 goal decided it without time for us to reply. Well done girls runners up and fantastic skills and goals from all the team. The boys had a similar route to the final again winning all their matches reaching the final against St. Bernadette. After giving their all and the sun beating down they lost 5-0 trying to the final whistle. Well done to all 16 players reaching both finals we are very proud of you ! Congratulations to both our football teams working hard all year to achieve the coveted HCPT Cup (Boys) and St.Bernadette's cup (Girls). After both teams winning all of their group games there was a long wait for the final. Our girls team lifted the trophy first in a dominant display beating Holy Family 4-0 in the final. The boys then completed a faultless day winning their final 2-1 in a very hot final beating St.Marys. 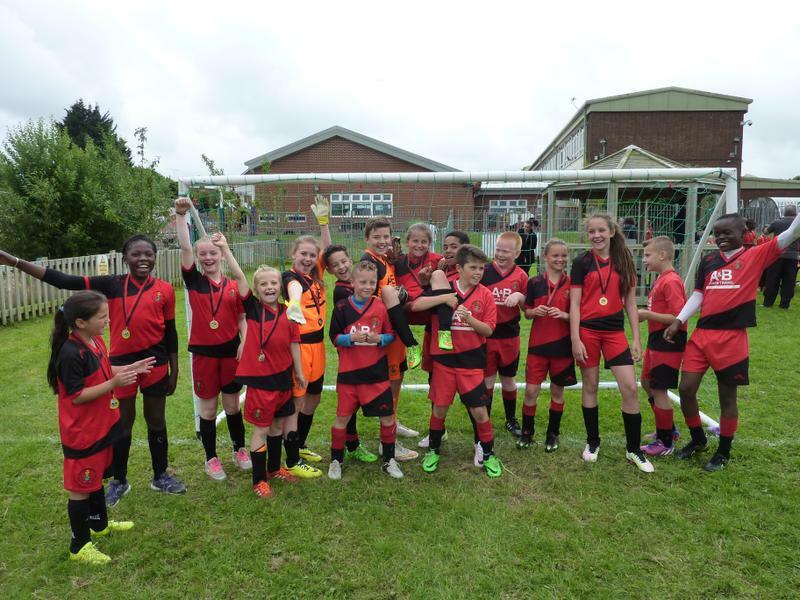 Well done Girls and Boys we are all proud of your footballing talents. ST.FRANCIS DOES THE DOUBLE ! 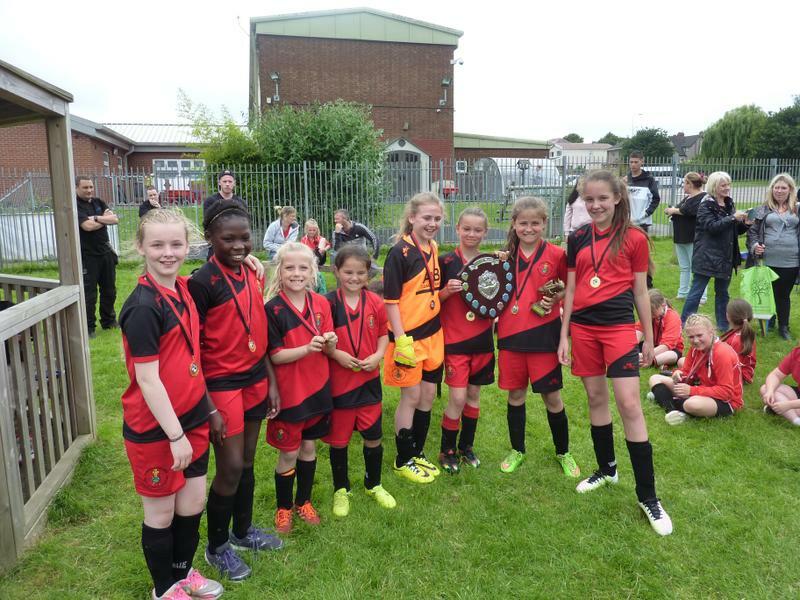 Congratulations to our Girls Team who Competed against Teams from all parts of Wales to go through to the finals day on May 8th. Conceding only one goal in our last match our St. Francis Lionesses dominated every match with powerful displays scoring 14 goals and winning our group. A fantastic half way goal from Nikki Stratton-Ross and amazing skills and goals from our Captain Talisha Williams-Taylor, not forgetting the defensive skills of the rest of the team. Da iawn girls and good luck for the finals. Congratulations to our Super 8 Lions who Beat 6 Teams at Cardiff City House of Sport. The Teams came from all parts of Wales to compete on Thursday 6th March, with our boys reaching the Finals day.This will be held on 14th March.The boys won their group and went on to beat two other teams in the semi finals. Well done boys and now it's the girls turn.